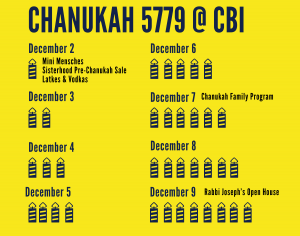 Chanukah began Sunday night, December 2, and CBI has plenty of programming to make your celebration full of light, laughter … and latkes! 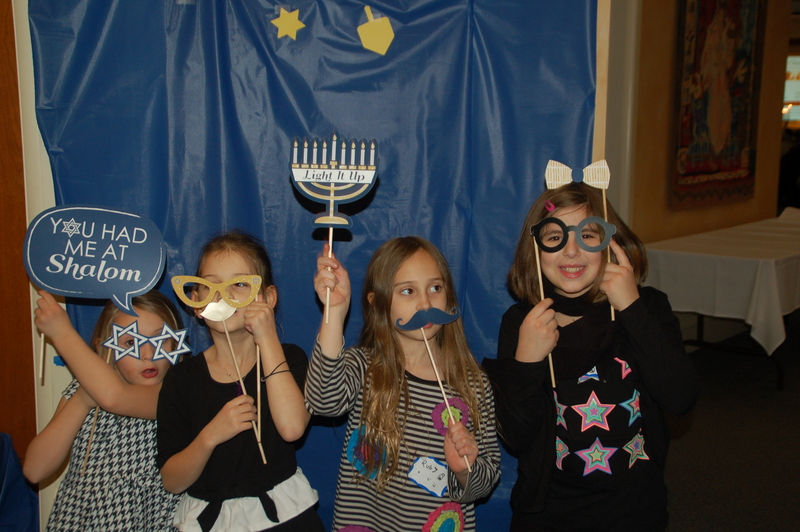 Join Mini Mensches for a morning of learning all about Chanukah! We’ll sing, dance and do crafts to get in the spirit of the holiday. Start heating the oil, grating those onions, and prepping whatever your top secret ingredient is for truly epic latkes, because Latkes and Vodkas is back! All are welcome to gather in Blumauer kitchen, where your CBI brotherhood will provide the basics (potatoes, onions, oil). A taste test—accompanied by vodka—will determine this year’s reigning latke champion! Your WRJ/Beth Israel Sisterhood is your go-to source for all your Chanukah needs, and will hold a special 10% off sale on and bake sale Sunday, December 2. All proceeds support the CBI Religious School. Bring the whole family—and your chanukiah!—for a lively Shabbat Evening Service, music, crafts, and games. Enjoy latkes, salad, and donuts. Feel the warmth of community as we light the candles together. In keeping with the Chanukah theme, we are collecting donations for our partner, Portland Homeless Family Solutions. A full list of their most in-demand items is available here. 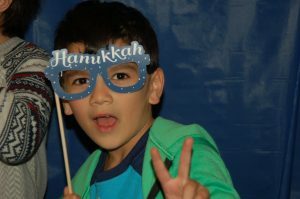 You’re Invited to Rabbi Joseph’s Annual Chanukah Open House! Join your fellow CBI members and celebrate Chanukah with Rabbi Joseph on Sunday, December 9 from 4:00–6:00 PM. RSVP to the CBI Main Office at for the address. How do you light the Chanukah Menorah? Listen to some Chanukah Music!